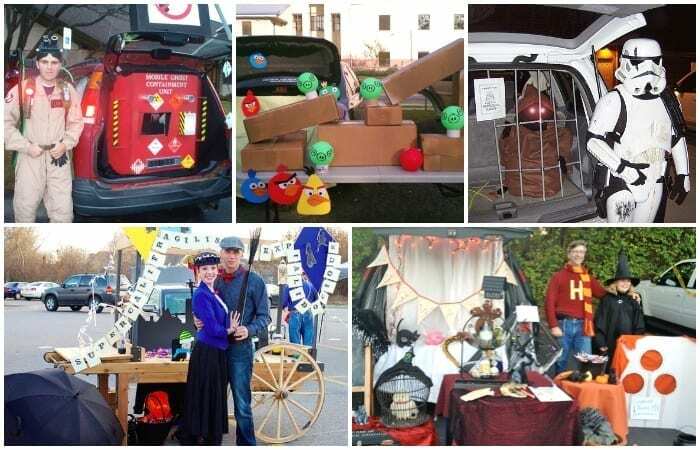 Trunk-or-Treat is a big deal in my town. 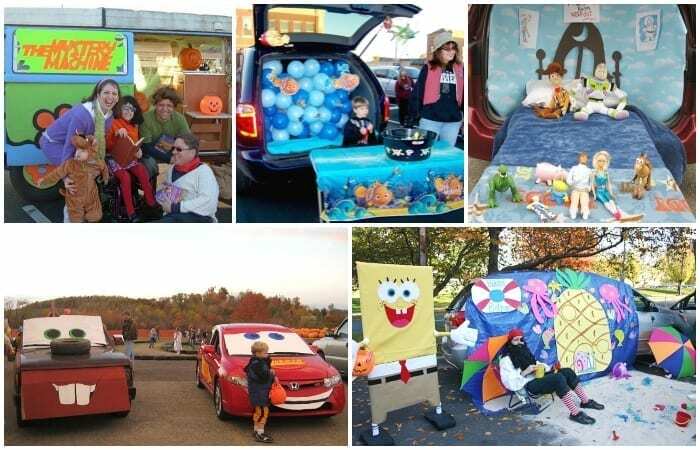 Cars line up all around the square and pop open their trunks, kids don’t have to run up and down streets in the dark, all is safe, everyone gets candy, and it’s a happy Halloween! 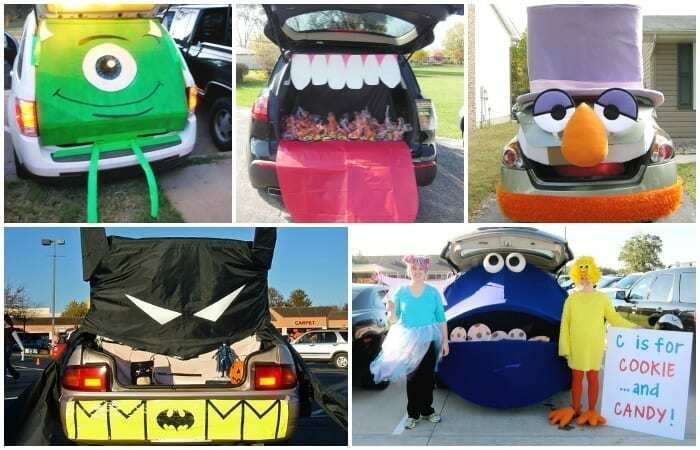 These trunk-or-treat ideas will help you have the best dressed car in the whole parking lot! Open wide and say ‘ahh’ for this dental-inspired mouth and tongue. The perfect trunk for moms who want to hand out toothbrushes. 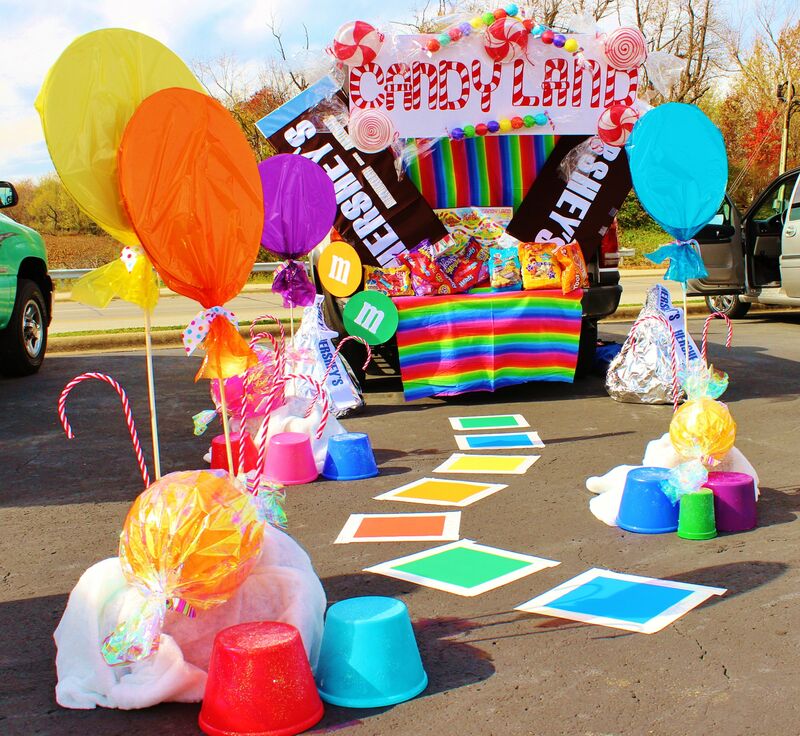 This Candy Land inspired trunk makes me want to follow the path to Gumdrop Mountain, stat. Little Red Riding Hood might have some trouble getting to grandma’s house, but no one will have trouble finding treats with this fairy tale trunk. This Dr. Teeth inspired Muppets trunk is so epically muppet-tastic. And a perfect way to celebrate the new show this fall! Can you tell me how to get, how to get to Sesame Street? Or at least this adorable candy-filled version of it? 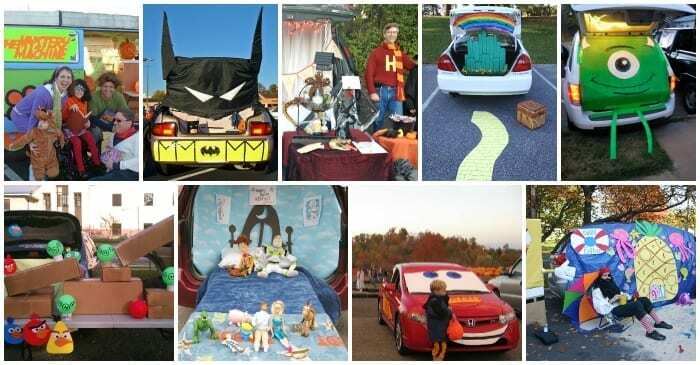 These Cars themed trunks are revving up for a fun trunk or treat party near you! 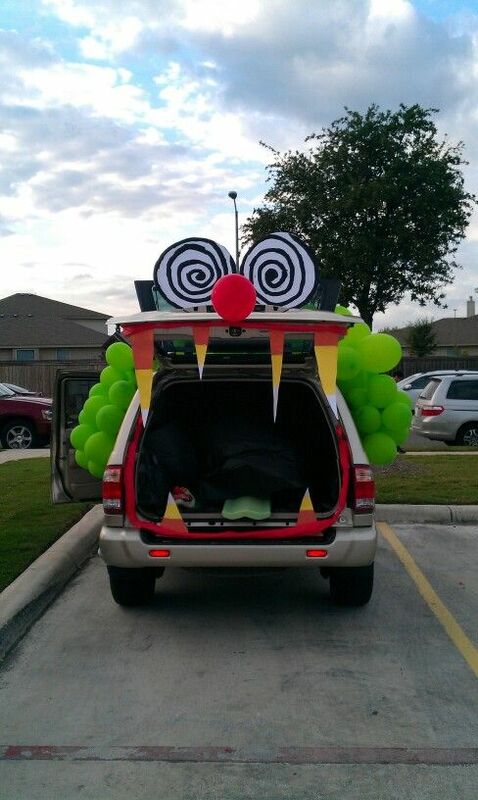 Mike Witkowski’s given up on the scaring game, with this Monsters, Inc inspired trunk. He’d rather give you candy and laughter than screams and bad dreams. This Halloween you should totally be yourself. Unless you can be Batman. Then be Batman. If you follow the yellow brick road to this Emerald City, you’ll find everything your little heart desires this Halloween! 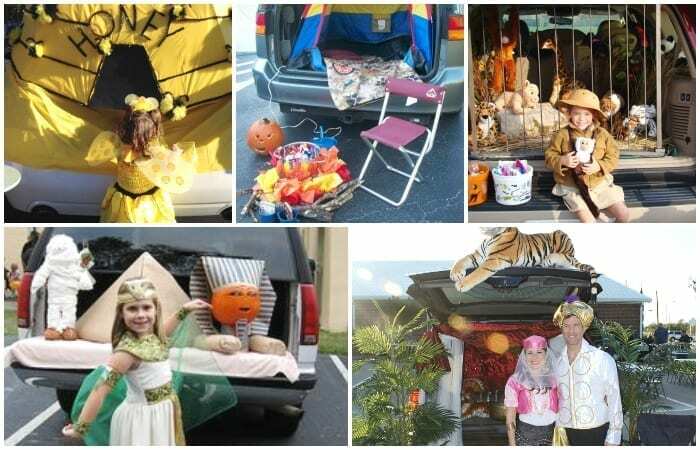 Head out into the wild with this camping-inspired trunk-or-treat. Whip out the s’mores and ready the scary stories! At this Little Trunk of Horrors, you’ll find Audrey II, Seymour, and the whole gang waiting to give you candy. Toss around the football when you get to this sports trunk, and you’re guaranteed to win no matter how poorly you play! You can walk like an Egyptian straight up to this Nile-themed trunk and dig through Pharaoh’s treasures for the perfect treats! Chim chimney cher-ee, you’ll find a spoon full of sugar and more waiting at this Mary Poppins trunk! 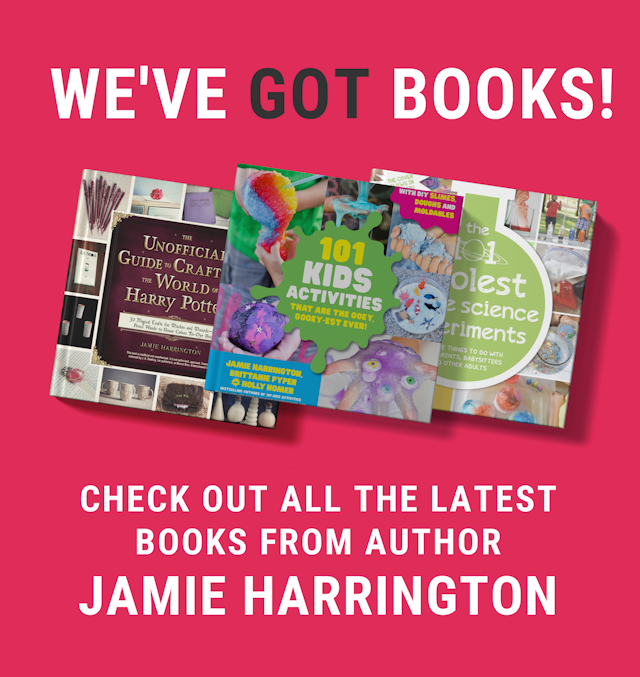 Want to scare the little candy-grabbers coming to see you? Make this spooky Clown trunk. This tiny tot safari will be a big hit with the little crowd. 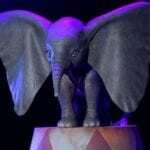 Shall we say, they’ll have a roaringly fun time? 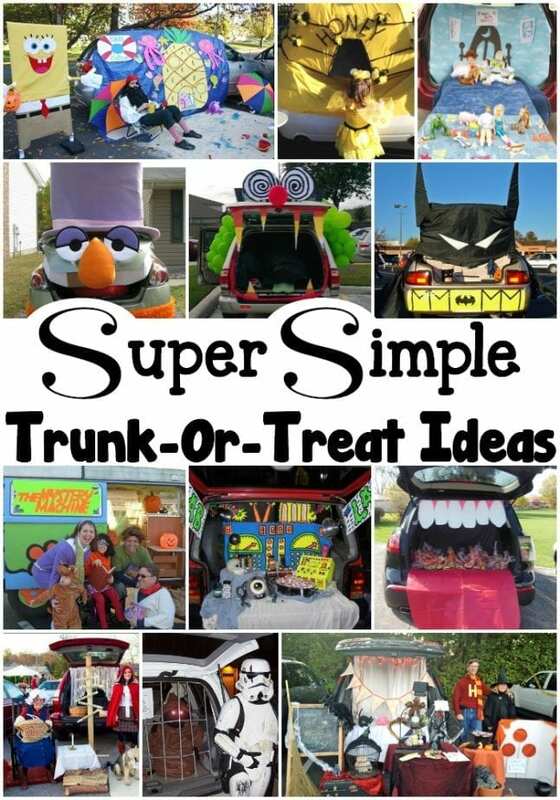 Bring the fun of a haunted house to a trunk near you with this Spooktacular Halloween trunk. Ohhhh! Who lives in a pineapple under the sea? This Spongebob Square Trunk! 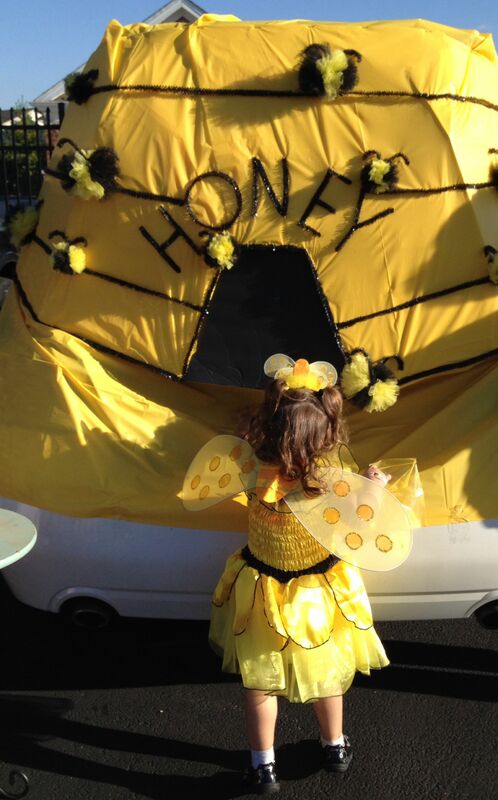 This honey trunk is the bees knees. It’ll have everyone all a’buzz with how sweet it is. This spooky skeleton trunk will be a big hit with the bigger kids, and of course, the undead. Rub-a-dub dub, there’s candy in that tub! Clean up your act if you plan on visiting this bubble bath trunk…or they’ll have a bar of soap waiting for you when you get there! We FOUND Nemo! I repeat! Nemo has been found! 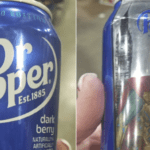 And he’s in Illinois, and has candy! I’m not sure what level this is on Angry Birds, but I’ll do everything in my power to keep those pigs away from my candy! 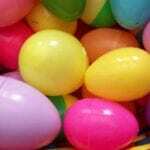 Scooby and Shaggy and the whole gang have a mystery to solve and it involves Who Hid The Candy? Aladdin and Jasmine can’t wait to show you the whole new world that’s waiting inside their treasure trunk! 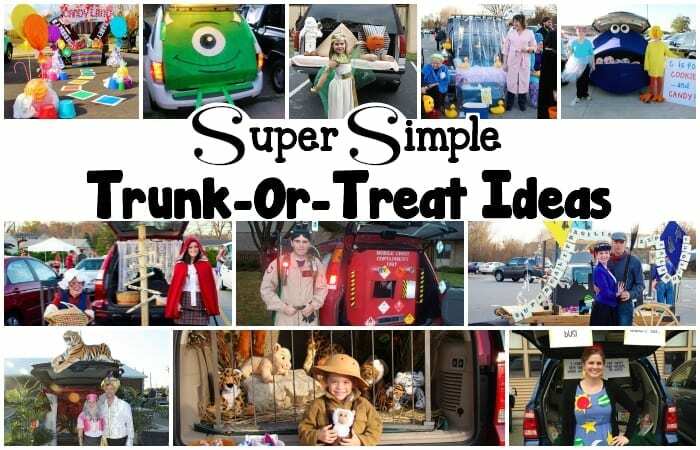 Invite unsuspecting trick-or-treaters into this mad scientist’s lab and you’ll have all the parts you need to create your own Frankenstein’s monster in no time! Who you gonna call…for the best candy? 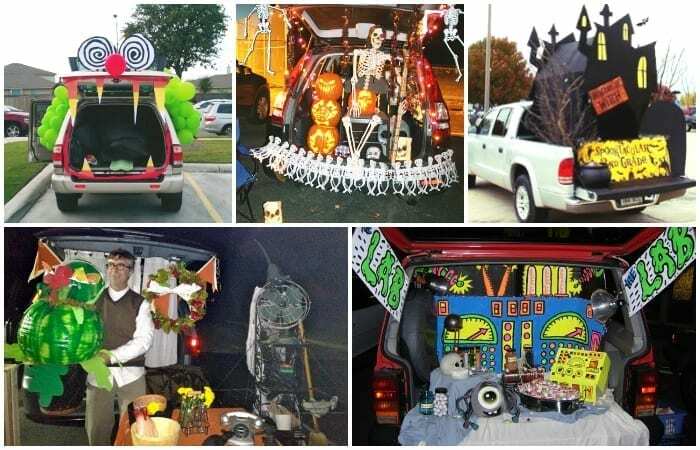 Why whomever has this epic Ghostbusters trunk, of course! The Magic School Bus is rolling in, and Ms. Frizzle has enough candy to go around! 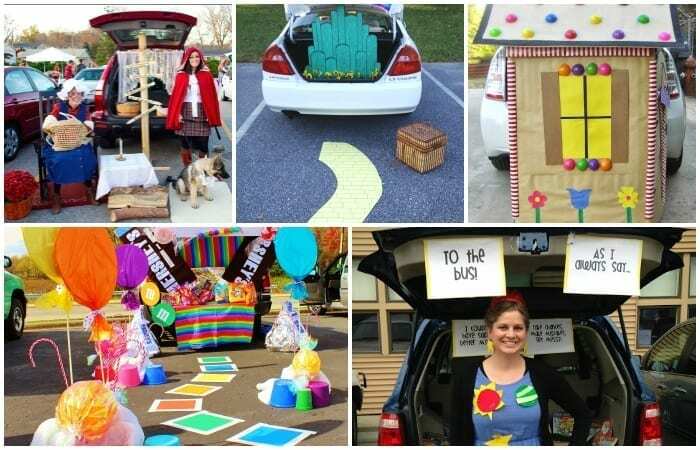 With this Toy Story inspired trunk, you won’t be asking ‘Why Can’t We Be Friends?’ because ALL are welcome! Here at this Black Hat Bake Shoppe, you’ll find treats for all ages of ghouls and ghosts. Want more? 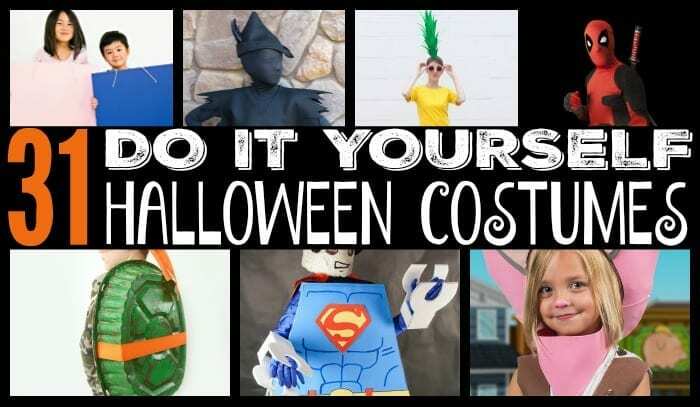 Check out 31 DIY Halloween Costumes!